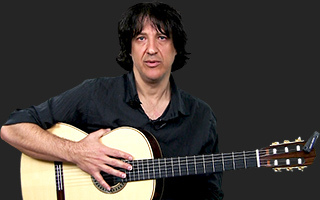 Marcelo teaches the eight basic right hand moves for the Rumba Flamenca strum pattern. He then shows you how to apply it to a single chord as well as one of the most important chord progressions in Spanish music. I feel enthusiastic about the lesson, but I have a little confusion: Move No 3 with the hand down is supposed to be an accent as Marcello mentioned. When I look at the pdf the accents are indicated on moves No 4. and No 7. Is it that 3 and 4 are emphasised? (as well as 7 of course). Hi everyone, i don't know how to play the bar chords. Anyone got any advice? Hello Prithvee! Bar chords can be tricky at first and most of the problems (other than finger placement) is the amount of force required to hit the chord cleanly. There are several types of hand exercisers out there that can help increase finger strength, but at the same time you don't want to use a crushing type of force when barring (this usually ends with fatigued fingers and a tendency for all of your chords to be sharp). I would recommend picking a particular bar chord and practice hitting it cleanly at different fret intervals on your guitar. After awhile the muscle memory sets in and you will get a feel for the amount of force and finger placement needed. Good Luck and Happy Jamming! I love Marcelo's teaching style and his joke about the bongo player. Gracias. Great to have him as an instructor. Que milagro! wow Marcelo, muchas gracias, saludos from Mexico. Saludos Alvaro! Estuve muchas veces tocando en Mexico. abrazo! My thumb is killing me on the back side underneath the cuticle of my thumb nail. I have played the guitar for many years but this style is new to me. I feel I must have bad hand position. Any suggestions? almost any song by the Gypsy Kings. Cant do this very long before the strings feel like they are murdering my thumb, is this normal? I also play acoustic and electrical and it didnt do that. First two lessons are excellent. I know the chord progressions but had no idea how to make the Rumba strum. Still very slow but I'm getting there - and most importantly I know what I should aim for. Once I get a reasonable speed I'll progress to the next set. You are a great confidence inspiring teacher Marcelo. Amazing. Your teaching style is awesome..
Gracias Maestro! Estas primeras lecciones son tremendas y de mucho valor! This strumming was a mystery to me ever since I was 14 years old. I am 61 years old now, and finally got it. Thank you Marcelo. You are an excellent teacher. I love this. Gracias Marcelo. Your teaching skills son fantasticos. Been teaching myself flamenco past few years by playing along with songs on CD's. My strumming just never sounded right. Now I know why!!! Can't wait to progress through these lessons. Love your teaching style, Marcelo. HI, enjoy your way of teaching the flamenco guitar,in the past I bought dvds to try to learn to play this style of guitar but was disappointed because the teacher presumed the intended student already played to some level of compency,so I gave it away through frustration.Question:..do you suggest familiarising and learning to play the cords properly before preceding with learning the flamenco style. You are a fantastic teacher. Thank you. Thank you for the great lesson series! It is truly inspiring and taught well, it is an honor to learn from you. OK got my new D addario strings on my cheap 80 dollar classical guitar and boy what a diffrence. now it sounds like a 500 dollar classical guitar. This is so awesome I've taken Flamenco lessons for 3 weeks then quit. I learned more in this 1 video then what the guy taught me in three weeks for 25$ per half hour! Thanks Marcelo Berestovoy your a talented amazing teacher and player and thank you jamplay! For many years I've loved flamenco, and sometimes wanted to learn to play, but it always seemed out of reach. Thank you so much for demonstrating these flamenco rhythms so well! Very excited about this lesson set - I hope you become a fixture here at Jample, Marcello. Marcelo, man I love your teaching style!. I am hooked, reel me in! Relatively new at this, side of thumb very sore from practice, todays manicure ruined but I feel happy. Hope that means I'm doing good! Gracias Maestro! The nanosecond between 4&5 moves is a challenge because 4 thumb up move seems to take hand up & away from face slap 5. It feels like you must execute a tiny circular roll to naturally return open palm to face? There seems to be a technical problem with the sound. All the other lessons in this set seem to be working fine. on the low and medium settings for scene 1, there is no audio. 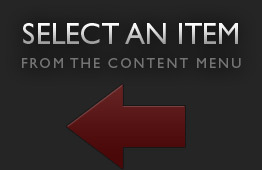 We should have this fixed by tomorrow. For now, switch to a higher setting for that scene to hear the sound. Sorry about the inconvenience! Thanks for this new lessons! hope to learn a lot from you Marcelo, excellent lesson. Is it ok to use an acoustic steel string guitar for this or do I have to have a classical guitar ? Of course, you can even do it on electric w distorted power chords! Learn the technique then use it for whatever you like! thank you . got my valencia but have to put on better strings. these chinese strings just don't cut it. You can do this on a steel string guitar but you might bleed after a while. ouch. I have a valencia vg 160 classical flamenco guitar on the way. This lesson is incredible as expressure says! Great explaining. Loved Mario DaSilva's flamenco series here on Jamplay and surely going to enjoy this too. Still the theory in scene 3 is a bit confusing for me but I have a lot to learn on that department. Thank you Marcelo for coming to Jamplay. This lesson is incredible. I would say more but I am going to practice.